Ярко и красиво! А вода песподобная!!! I close my eyes and I can see myself , on the beach in Pataya, eating pineapple, enjoying this beautiful emerald colour sea... so beautiful!!! 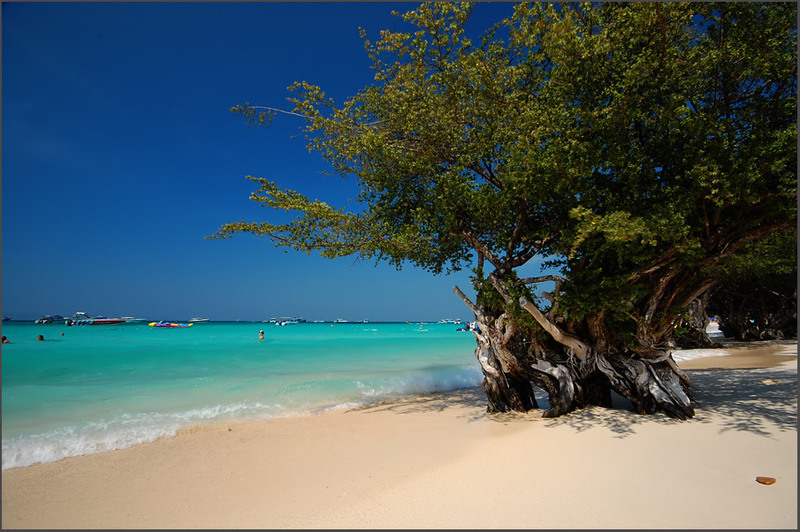 Magnificent trees, contrasting with clear sky, sea and sand! Charming composition, excellent work!!! Very beautiful image, regards ! сказочное место и сказочная работа! dreaming beach scene, so nice! will get you. Go to Tahiti, a far more civilized place. He, he, ... civilized places are very boring to me.